Last week I finished my interior decorating class that I took through Howard Community College. It was a 6-week class that met at a local high school during which we learned about basic design principles, color, accessorizing, floor plans, window treatments…. it was awesome. The class was small — only 12 people — so we got to talk to our instructor a lot about projects we are working on and problems we are running into. I chose to focus on our living room during the class and actually made a lot of progress! 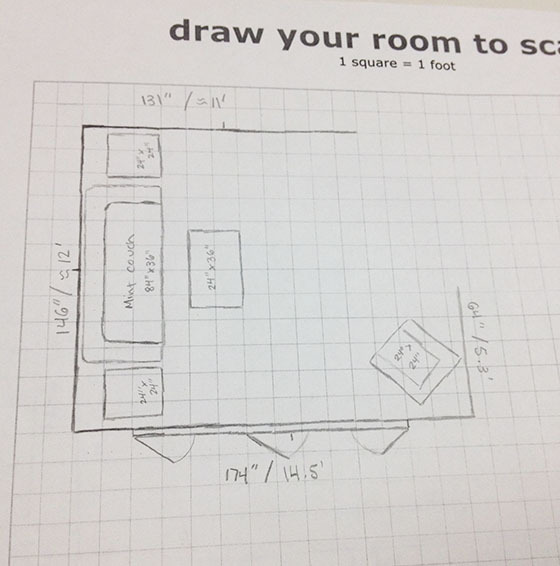 For me, the most helpful classes were the floor plan session and the color session. 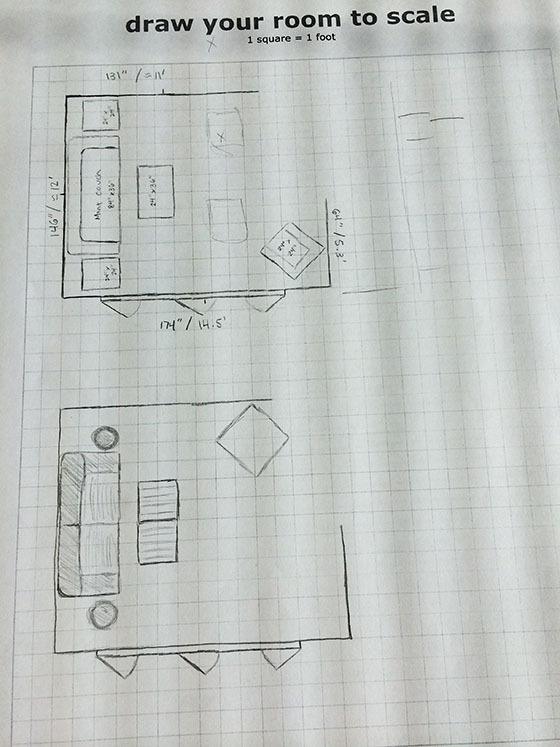 There’s always been something off about the way I had the furniture arranged upstairs, so the floor plan class allowed me to get feedback and ideas from my classmates. They suggested that I take two chairs and place them directly in front of the coffee table to create a designated seating/conversation area. 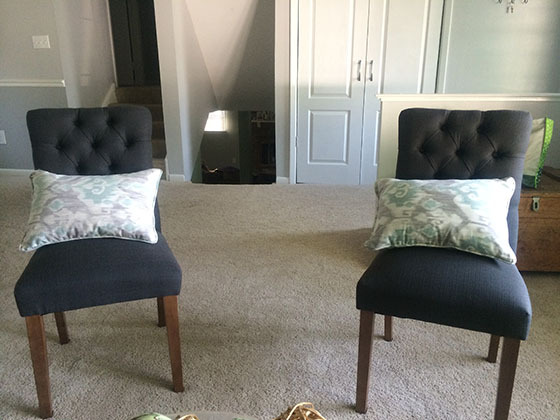 I’d been wanting to buy two chairs, but I had planned to place them on the walls, versus in the middle of the room. When I placed the chairs in front of the coffee table, it really did create a much more conversation-ready sitting area. …those went back, too. I got them from Target for a great price, but since they are dining chairs they were just too small. Well, if I were to put them along the wall like I originally planned, they were perfect. But in this new configuration, they were too small and too obviously for a dining room. Instead, I swapped them out for two charcoal slipper chairs from Target. 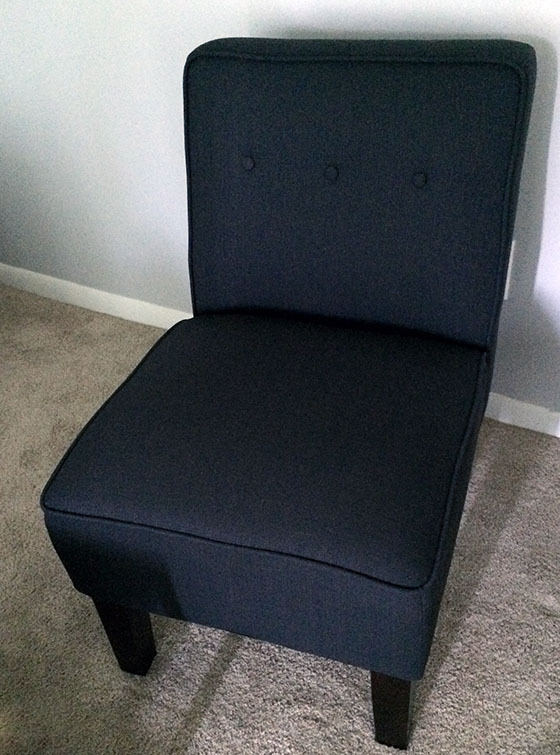 They have a great button detail that sort of mimics the faux tuft in our couch. I definitely sacrificed quality for coast on this purchase, which is unfair since the chairs are actually quite comfortable and very nice now. But, I’m pretty sure they won’t last more than a few years, especially with a furniture-loving dog and future kiddos — at $128 a chair, that’s not the end of the world. Now, my next challenges. End tables and color! Another portion of our class was spent looking through catalogs to see if anything piqued our interest. It really helped us nail down our individual styles, too. 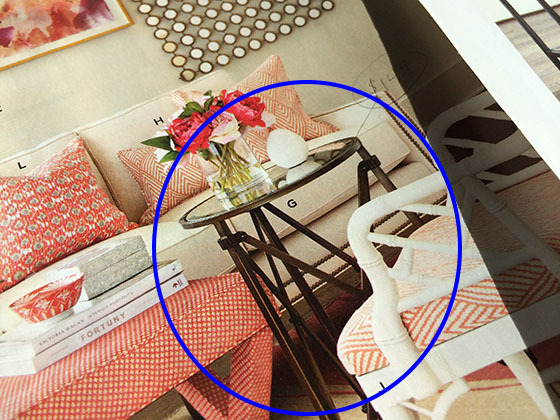 I love the Ballard catalog best — does the circled table look familiar? That’s my coffee table (well, two of them) that I got from the thrift store! Yes, I am cheap. Well, not cheap. Just frugal. Now color — that is my real challenge. 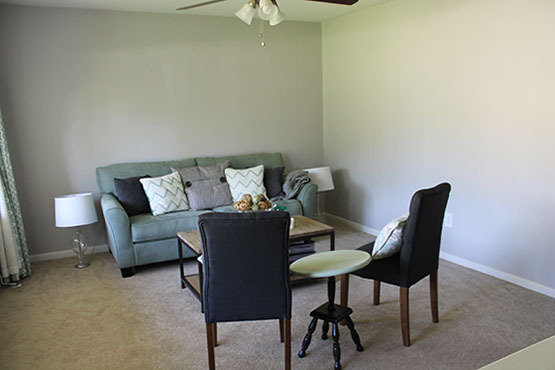 I love the gray and mint combo I’ve got going on, but I think the room is too dark and too monochromatic. So now I am working on adding more color to the space to create more visual interest in the space. I will be doing this through throw pillows and artwork. 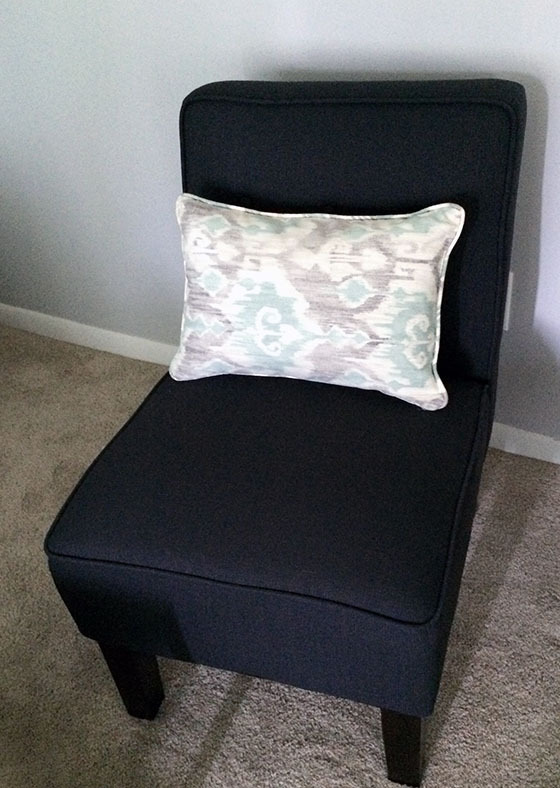 You can actually see some of the pillows I’m considering on my Pillows Pinterest board. I’ve been adding like crazy this weekend. Now I just need to make decisions. A lot of them are from Etsy, which means no returns. So it’s a little extra incentive to make sure I am positive before I purchase. I’ll hopefully make a decision soon and move on with artwork. The walls are crying for something on the. I’m thinking a gallery of some sort behind the couch and a console table with a mirror above it on the other wall. We’ll see what happens!